UPDATED: Sat., March 10, 2018, 11:11 p.m.
No. 6 Gonzaga awarded a sixth seed by the NCAA selection committee? It happened in 2002, with television cameras catching the stunned looks on the Zags’ faces as Gonzaga’s name popped up on the bracket. GU stopped doing public viewing parties long ago, so a rerun isn’t possible. Still, the Zags (30-4) figure to be handed a four or five seed on Selection Sunday, and by Monday morning they could be ranked, well, fourth or fifth. No. 3 Xavier, No. 4 Michigan State and No. 5 Duke all lost in their respective conference tournaments. There’s always some Selection Sunday drama. A year ago, there was squabbling nationally about whether Gonzaga deserved a No. 1 seed with one smudge, BYU, on its record. The chatter this go-around is if the Zags merit a top-four seed. ESPN.com thinks so. Bracketologist Joe Lunardi elevated Gonzaga from a five to a four on Thursday. CBSsports.com isn’t convinced, placing the Zags on the five line. The Bracket Matrix, which takes into account more than 70 bracket projections, lists Gonzaga as a top-five seed. Of course, the selection committee’s opinion is the only one that counts. 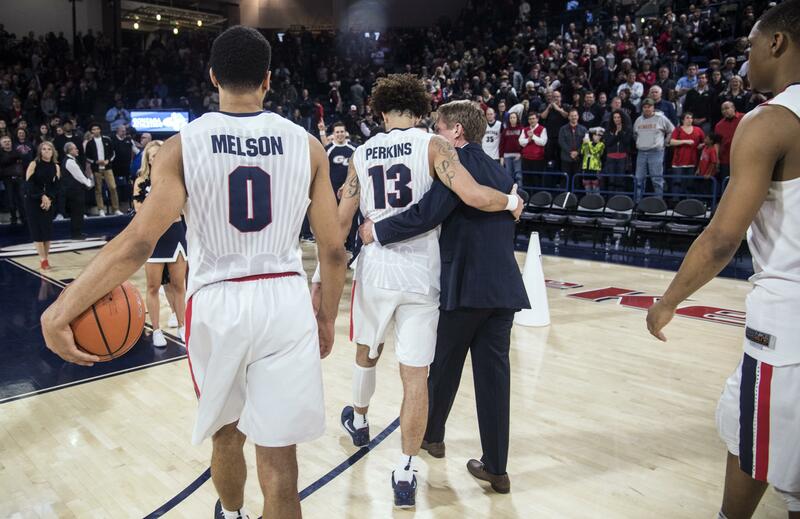 Gonzaga coach Mark Few didn’t get too worked up about his team’s seeding last season. He’s probably not losing any sleep if GU comes in with a four or five on Sunday. His focus is more on the matchup and location. Top-four seeds are usually afforded geographical preference for the opening weekend of the NCAA Tournament. Boise State’s Taco Bell Arena is the closest site to Spokane, followed by San Diego State’s Viejas Arena. Boise is within driving distance (seven hours). Zag fans make up a large portion of the crowd when Gonzaga visits WCC foe San Diego annually. WCC rival Saint Mary’s will sweat out Selection Sunday. The Gaels, who finished second in the WCC and lost to BYU in the tournament semifinals, are slated for the First Four in Dayton by ESPN.com and CBSsports.com. Tournament results obviously influence late swings on the seed lines. Michigan’s march to the Big Ten Tournament title bumped up the Wolverines from a five seed to a three on ESPN.com’s bracket. With that in mind, Gonzaga fans are probably keeping an eye on teams projected as 4/5 seeds. Lunardi has Gonzaga on the four line with West Virginia, Arizona and Wichita State. Wichita State fell in the AAC semifinals to a quality Houston team, so it probably won’t slip much, if at all. West Virginia advanced to the Big 12 championship game. Arizona strengthened its résumé by thumping USC in the Pac-12 title game. Lunardi’s five seeds are Kentucky, Clemson, Texas Tech and Ohio State. Kentucky, pegged as a six seed Friday by Lunardi, could climb higher with a win in the SEC Tournament title game Sunday. Texas Tech was seeded fourth by CBSsports.com following its loss to West Virginia in the Big 12 semifinals. GU’s potential opponents include Western Kentucky, according to CBSsports.com, and San Diego State, according to ESPN.com. Published: March 10, 2018, 9:23 p.m. Updated: March 10, 2018, 11:11 p.m.